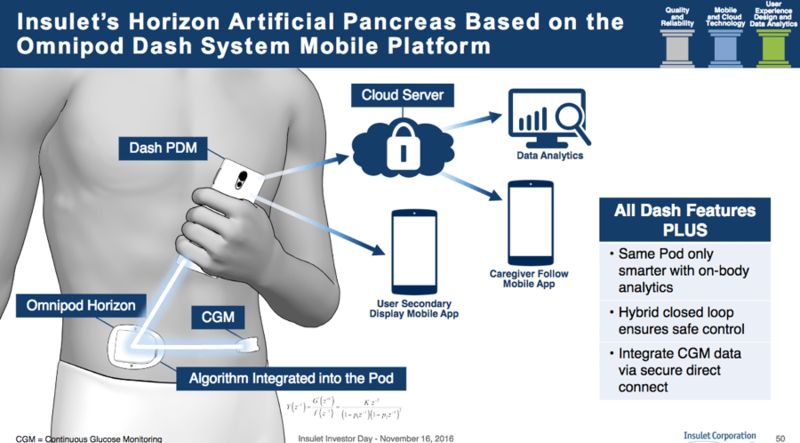 FROM Diatribe.org, 12/14/2016 : When JDRF started the Artificial Pancreas Project in 2006, the idea of automating insulin delivery using a standard insulin pump, a CGM, and a control algorithm seemed crazy to many patients. Even back in the early 2000s, researchers believed it could be done, but there were many barriers. CGM sensors were not considered accurate enough. Algorithms were immature and untested. Experiments took place in tightly controlled research centers, far from real life. 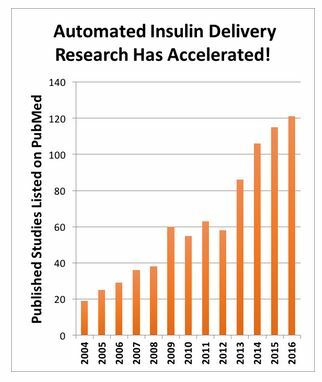 Insulin was thought to be too slow. And there was no clear FDA path to bring an actual product to market. But a lot can change in ten years, and boy, was 2016 a pivotal year. This is one of the best overviews of what’s coming in the next 2-3 years … and will answer most of your questions. Remember there are also do-it-yourself (#WeAreNotWaiting) closed loop systems available today … build, set up and use at your own risk. I’m hoping to start “Looping” in the next 1-2 weeks, using the RileyLink algorithm system, an older version Medtronic 723 and my Dexcom G5, as well as interfacing with Tidepool’s BLIP software app. I’m just so curious to know what it feels like to have a system that makes 280 decisions/day and levels out my blood sugars. And then, hopefully, the amazing hackers might have a way in to the Omnipod system, so I can “loop” with pods. Fingers crossed.